Although many marketing gurus disagree on the efficacy and efficiency of QR (quick response) codes, consumer data from Europe and Japan prove otherwise. 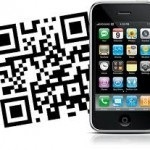 QR codes are quick to implement and cost virtually nothing, especially to the seasoned marketer. In fact, all they demand are a few design changes and a dedicated mobile webpage or site. And they have the potential to deliver some great returns. Placing Your Codes Metrics! Design Vs. Scannability: A Fine Line Building Design Scan Testing! Drive visitors to your mobile site or towards your social marketing pages. Increase brand awareness and add value by giving users information or tips via multimedia. Deliver discounts or coupons or implement brand loyalty and reward point programs. Organically grow a mailing list by asking users to opt-in. Whatever your objective, make sure to state it clearly and concisely next to your QR code. A code without any information next to it is going to look like a bland pattern and can even be mistaken for a part of the overall material design by customers who aren’t very tech-savvy. Try using a single sentence to describe the value your QR code offers and the action that needs to be taken. “Scan this code to like us on FB” or “Scan to receive a discount” are great calls to action because they ensure that the technology is clearly mentioned while the link destination comes up in the form a kicker. If you’re going to use a free QR code generator, do a little research and find quality software that has the least number of error rates. Code generators are only as good as the programmers that develop them, so be wary of new programs and test extensively. One of the greatest things about QR codes is that they can be placed anywhere! On advertising billboards, signage, printed material, websites, the sidewalk, buildings, vehicles and virtually any conceivable public space. There’s even a QR code that’s been embedded into a gravestone that leads to a memorial site! You are only limited by your imagination, so try to think up novel ways to leverage QR technology in the interests of your brand. Understand that a QR code is a form of physical hyper-linking and that means in order for it to deliver results it must be scanned in an area that offers wireless connectivity, i.e. mobile signal reception. Underground mass rapid transit systems, some auditoriums and halls and airplanes do not have this prerequisite and should be added to the list of places that DO NOT support a QR code campaign. QR codes are dynamic and you can redirect them. This makes a single permanent QR code in a prominent location, a constant source of customer interaction. That’s why metrics are important. Keep measuring the success (or failure) or your campaign. The key thing to worry about is how long people are spending on the landing page that your QR code leads to and the number of visitors to the page. If you find that results are unsatisfactory, tweak you materials accordingly. A huge challenge with QR codes is to balance out design with scannability. Here are some tips to help keep your code on the level. We’ve covered quite a distance from the time when QR codes needed to be monochrome with a distinctly checker box look. Today’s QR codes can be designed to fit the theme of virtually every marketing campaign. This is made possible by the fact that modern codes can have up to 30% of their pattern obstructed and still be scanned successfully. To take advantage of this, you’ll want to find a reliable code generator that creates codes with a 30%, 20% or 10% error correction rate. This will allow you to integrate your graphics into your code or even to superimpose an image over part of the code box. The higher the level of superfluous graphics (from the scanner’s point of view) the higher your error correction percentages will have to be. Keep in mind that adding graphics to a QR code with 0% error correction rates will result in a completely unscannable code. However, remember that a high level of graphical addition and improper placement can reduce the readability of your code. To solve this problem, keep testing your code and move the graphics around it until you achieve optimum scannabilty while retaining a great looking QR code. Test your QR codes with multiple readers and devices. QR codes are still a relatively emerging technology and, before you start printing them on everything conceivable make sure you test the scannability of your code on multiple mobile operating systems, most importantly (Apple, Android and Blackberry). In fact, test out several different code scanning apps as well. This is especially important when using highly stylized custom codes. While designer codes can look great on your brand materials make sure to use colors that create an effective contrast. Too little contrast can make the code indistinguishable from the background and will lead to poor scannability and reduced scan rates. QR codes need to be large enough to be registered by mobile scanners and a code that’s too small can have a serious impact on your campaign. If you’re using Microsoft Tags try to ensure that your code is at least 1 sq. inch in size, although 1.5 sq. inches is a far more readable option when using standard codes. When it comes to brand packaging, every available space tends to be filled with marketing material or general information. In order to make sure that your codes are scannable, you’re going to have to leave a margin of uncluttered space around it that’s devoid of text or graphics. This constraint makes it important to incorporate your QR code ideas into your design layout right from the beginning rather than treating it as a last minute addition. Also, keep in mind that the ‘quiet zone’ around your QR code needs to be a white or a light color. Glossy materials tend to reflect a lot of light and can distort a QR code to the point where a scanner has difficulty reading it. If placing a code on a glazed surface (such as a magazine page or shiny packaging) is unavoidable, design the code to be substantially larger. This will overcome most of the scanning problems posed by the shiny patches of light on a gleaming surface. The debate still rages about whether QR codes are a passing fad or an enduring marketing mechanism. However, given their low cost and ease of implementation, it’s a good idea to incorporate them into your marketing strategy since you have the chance to capture a lucrative emerging market. With these tips and a little work you should have a successful QR campaign up and running in next to no time.